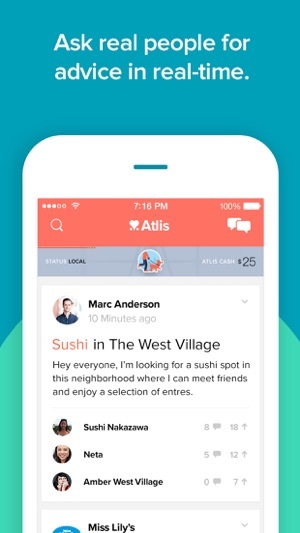 The Atlis app gives you recommendations on local businesses, and cash rewards for returning the favor. From restaurants and bars to florists and dentists, it makes finding your favorite spots easy. No more sifting through negative reviews. Just post an ask, and receive a reco. Fast, friendly recommendations, and rewards for those who give them. That’s what Atlis is all about. Download today, and discover what you love. Atlis is a top notch, fully optimized, thoroughly tested application. Still, continued use of GPS running in the background can dramatically decrease battery life. We are always looking forward hearing your feedback! · Bug fixes and stability improvements. · Post a photo to share your favorite places. · User Trust Level - We've added a reputation layer to Atlis that let's you know about the quality of someone's recommendations. · Custom Lists - Create your own lists (i.e "Date spots") to better arrange your favorite businesses. · Add your user bio to tell others where you're from and what you like! 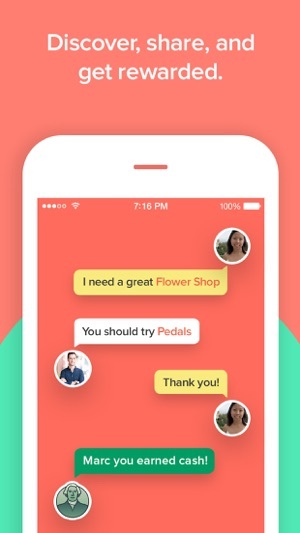 · Get instant recommendations for local businesses. 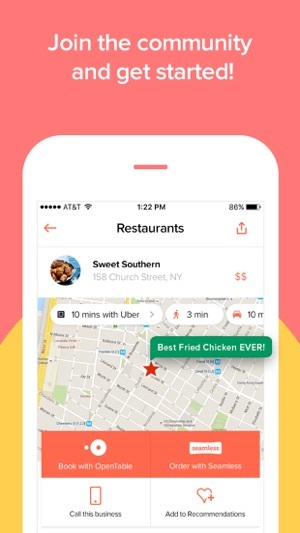 · Get rewards for recommending your own favorite spots. · View detailed business info like menus, online reservations, photos, contact info, and hours of operation. · Follow friends to see what they’re recommending. · Introducing 'Atlis Polls' - Your vote counts! · Get insider tips from people who have actually been there. · New setting allows you to control when to be notified about Asks you might like to know about. I use Atlis all the time for crowdsourcing date ideas in NYC. Instead of going through star ratings, it’s great to get recommendations for local elites and trusted people. Need to be able to ask more specific "asks"
© 2016 Atlis Labs Inc.